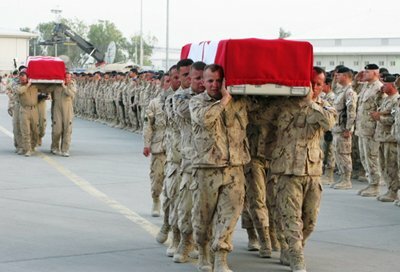 eter McKay (former defence minster of Canada) did an CBC interview and has acknowledged the government could have done more for its soldiers in Afghanistan. When I read this statement I was in shock. My first reaction since his political party is in office; was waiting for the justification on why they should not be held accountable. MacKay said he wished Canada had provided more equipment, helicopters, mine clearing and that the ferocity of the mission perhaps did not dawn "on even military leaders, let alone political leaders of two different governments" and "In retrospect, we could have perhaps prepared our soldiers better through both equipment and training." Afghanistan veterans are facing personal demons, have a high risk of PTSD and in recent months are committing suicide at an alarming rate. This has caused outrage and concern from Veterans, the former chief of defence staff Rick Hillier, and Canadians are demanding better care and support for military personnel. In December 2013 MacKay stated that the tragic death of "young men and women have lost confidence in our country to support them." In this article MacKay follows the Conservative party lines of spouting the government has doubled the mental health professionals and setting up joint personnel support units (even though the vets themselves state these are causing more harm than good). He proceeds to say "We have 20-year-old veterans in this country that are battle-hardened, that are combat veterans, this is something we haven't seen in a generation. And that has been a shock to the country's collective system." This naivety is shocking since both administrations should have been prepared for the more than 40,000 Canadian Force members who have been deployed to Afghanistan since October 2001. They were advised, repeatedly warned about the mental health issues needed as it was not a new phenomena for veterans returning from combat. After I read this article I sat completely dumbfounded for a couple of minutes. When I read anything from a politician any politician I look for what is their angle. I could not find one on this article. I was also very impressed with how both administrations were equally ill prepared and MacKay did not play the "blame game". It also did not take 20 years to admit to something the public recognized. Kudo's to Peter MacKay for taking ownership for some of the mistakes the government has made.